Proposed plans to develop a nuclear waste disposal site in Andrews County along the Texas-New Mexico border have gotten the attention of Bexar County. There are concerns that some high-level radioactive waste would be transported through this area on trains. Not only can accidents happen, but there’s also the threat of terrorist attacks. Tom ‘Smitty’ Smith, the former director of Public Citizen Texas, addressed Bexar County Commissioners Court on Tuesday. Commissioner Tommy Calvert also gave a perspective of the level of radioactive material. Commissioners Court passed a resolution opposing consent to transport high-level radioactive waste on railways or highways through Bexar County. The Nuclear Regulatory Commission will determine the routes. Texas Matters: Will You Share The Road With High Level Nuclear Waste? Driving down a Texas highway, you could be sharing the road with an 18-wheeler carrying a load of high level nuclear waste. That’s one of the scenarios if the West Texas nuclear waste site is permitted to store the nation’s high level nuclear waste. 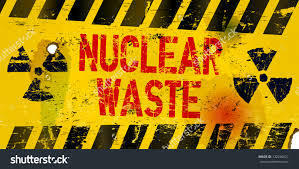 Waste Control Specialists, which operates a low-level nuclear waste dump in Andrews County, announced that it has applied for the license to build and maintain a temporary storage site for the spent fuel. Texas’ only radioactive waste dump wants to open its gates to tens of thousands of metric tons of spent nuclear reactor fuel now scattered across the country — a large expansion it is pitching as a temporary solution for a problem that has bedeviled federal policymakers for decades. Waste Control Specialists is seeking federal approval to temporarily store highly radioactive waste at its complex in Andrews County, northwest of Midland.